After last night's announcement of a seemingly-unnamed new Dragon Age project, fans have been eager for Bioware to detail the upcoming game. Unfortunately, Bioware is staying mostly tight-lipped outside of a blog post that can best be summarized as "It exists, you'll see more eventually." "We have been working on a new Dragon Age game for quite a while now and I am pleased to finally tease the existence of this project!" writes Mike Darrah, producer for the Dragon Age games and also Anthem. "While we won’t be sharing any details for now, I can tell you we have been building a new team around a core of Dragon Age veterans, people I’ve worked with on Dragon Age, Jade Empire, and some of whom I’ve worked with since the Baldur’s Gate days. While I have been focused on Anthem, the rest of the team has been hard at work exploring ways to push BioWare’s storytelling to the next level." Before the game's reveal, GamesBeat reported that the game is still extremely nascent and has little to it besides a confirmation of life. The blog post seems to confirm that to be the case, though Darrah's comment seems to suggest that pre-production work has been occurring while he manages Anthem. This fits with GamesBeat's timeline suggesting the game is still three to four years away, but Bioware wanted to reassure their fans that something more RPG-like is coming. 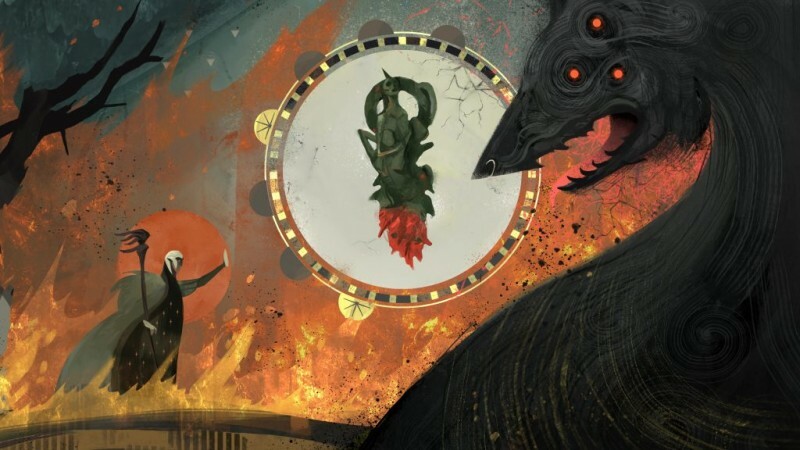 What do you think about the early reveal for the next Dragon Age game? Do you think it was important for Bioware to show the series is still being worked on or do you think they should have waited?